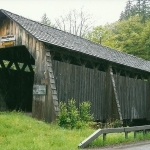 Grants Mills Bridge was originally built in 1902 by Edgar Marks, Orrin B. Marks, and Wesley Alton, it is listed on the National Register of Historic Places as of December 17, 1998. The bridge is located in the Town of Hardenbergh, south of State Route 30 on Mill Brook Road. 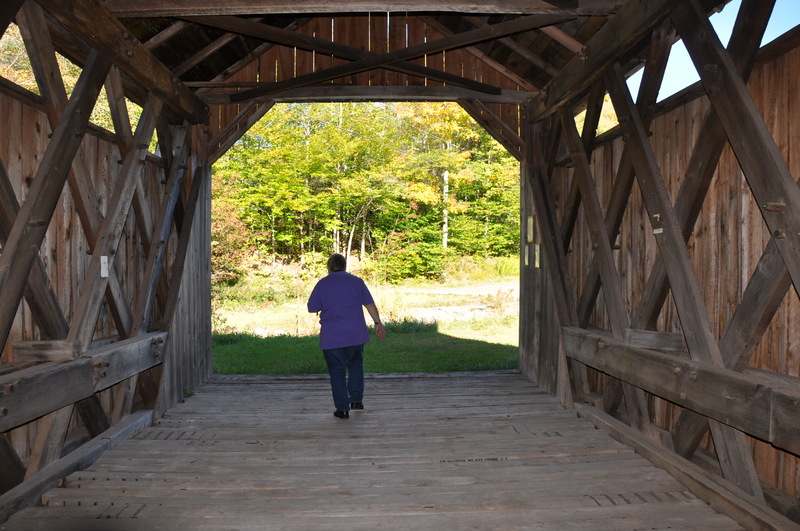 It is over the Mill Brook, a single span of 66 feet of Town truss. 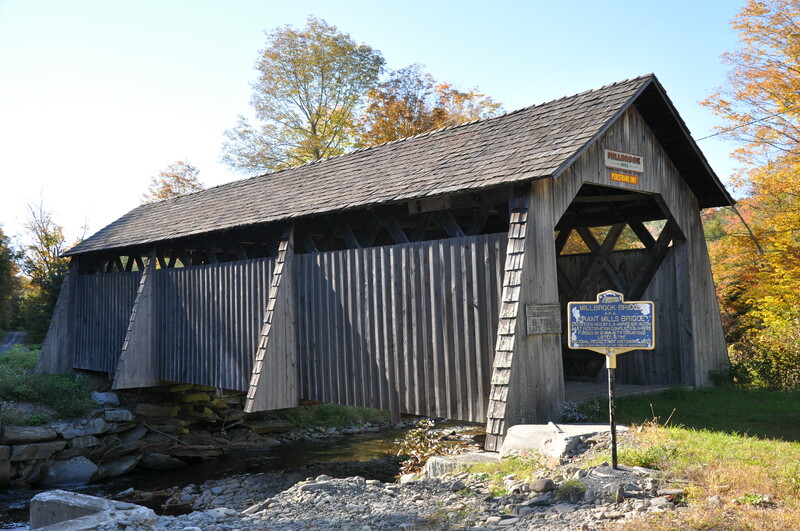 The Mill Brook Covered Bridge (formerly known as the Grants Mill Covered Bridge) is one of five covered bridges still standing in Ulster County. It is owned and maintained by the Town of Hardenbergh and carries pedestrian traffic across Mill Brook. Built by Edgar and Orrin Marks, and Wesley Alton in 1902, this 66-foot-long, single span structure incorporates the Town lattice truss design patented on January 28, 1820, and again in 1835 by Ithiel Town of New Haven, Connecticut. 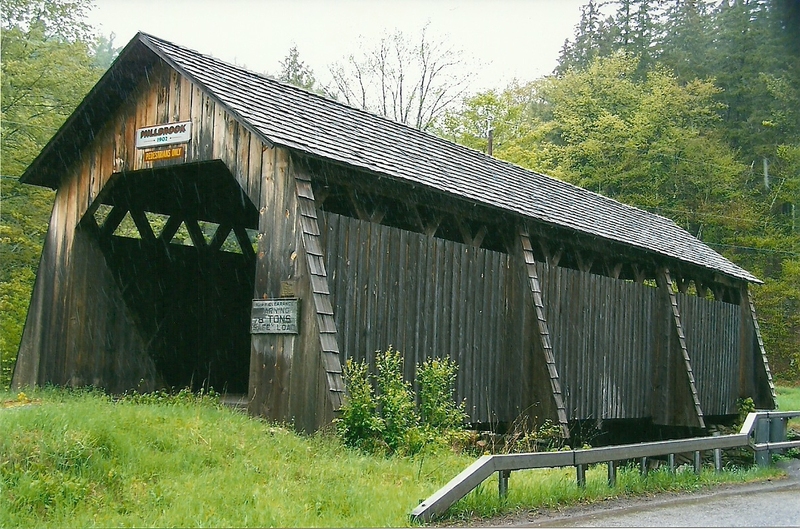 The Mill Brook Covered Bridge is very similar in dimensions and design to other bridges in the Catskill region, all of which feature buttresses. The Mill Brook has four such buttresses on each side. 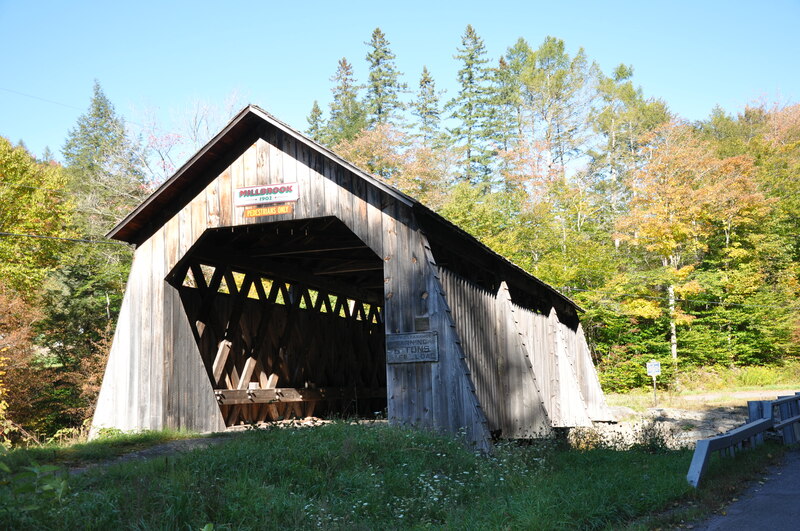 The total cost to build the Mill Brook Covered Bridge in 1902 was $1,027 and the bridge was finished in late November 1902. In the summer of 1902 the Commission of Highways asked for bids to build a covered bridge over Mill Brook just above the Willard Kittle home. Edgar A. 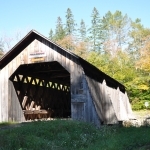 Marks was the low bidder and along with his brother Orin, built the covered bridge in the fall of 1902. Wesley Alton also assisted him, and Daniel George of Dry Brook framed the timbers. inaccessible to all but foot travelers. A culvert type road bridge was built just above it on the property of the Tuscarora Club, a game club owning land in the area. that time. So the town took another look, and in February 1973 bids were advertised, specifically to move the bridge to dry ground 200’ downstream. On the 20th of that month bids were opened and read. L.D. Dexheimer’s bid was $3,495 and Halliday House movers was $1,400. The motion was made and carried to accept the lower bid, on the condition that the Tuscarora Club gave permission to put the bridge on their property. The town expected to pay part of the cost and private donors the balance. However, the club’s permission was not granted, and by May, the town decided to leave the bridge where it stood and proceeded with the matter of placing solid abutments under it. A local contractor, Mr. Elmer Close,was engaged for that work. He also kindly took it upon himself to make and replace all the missing treenails(pronounced “trunnels”) in the lattice work. Vandalism has been a real problem there. The bridge is still town property, although the Tuscarora Club has agreed to look after its well-being. This bridge was rehabilitated in 1991 by Bob Vredenburgh, great grandson of Edgar Marks, one of the original builders.To assist in the funding of the rehabilitation of this bridge, trunnels were sold to individuals with the stipulation that their names would be imprinted on them. When visiting the bridge, be sure to look for the many names written on the trunnels. From Forge Bridge, go back about 1.5 miles to mill Brook Road, turn left and travel about 5 miles to the bridge. OR From State Route 28, take the back road on the south side of Pepacton Reservoir to Arena. Turn onto Mill Brook Road and in 6.5 miles, not long after crossing into Ulster County, will be the bridge.